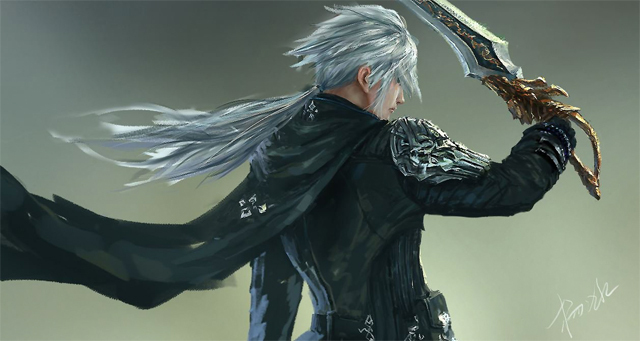 Korean indie game developer Yang Bing was so inspired by the trailer of Final Fantasy XV, he went off and created a game of his very own, and the final product is breathtaking. Bing started working on Lost Soul Aside when he first saw the FFXV trailer two years ago. The game, Bing says, draws inspirations from both the Final Fantasy series and Ninja Gaiden. As you can see in the trailer, Lost Soul Aside looks to play like an ode to Japan’s finest video game creations. While the game’s aesthetics and gameplay take obvious cues from those games, Bing says that the game will be a truly unique experience. “FFXV taught me how to walk, and I have to walk my own way,” he said in a Tweet. Developed using the Unreal Engine 4. Bing revealed on Twitter that the game was essentially a tech demo at this stage, and that he won’t contemplate crown-funding until he is certain he can actually finish the product. He was also rather humble of the overwhelmingly positive feedback for the trailer, saying the combat “may not be as good as you think”, and that people should “stop bashing FFXV”. You know you’ve created something special when your game entices people to bash Final Fantasy! The main character’s name is Kazer. Check out the art below. He finished his fan correspondance with a letter to his new-found friends. Hello everyone, thanks a lot for supporting me so much, I’m really glad to see that people like it. I have been working on it in full time for two years, and feed myself by doing freelance things, and actually my plan was to release the trailer as the end of full-time development and to find a full time job, then continue it in part-time with a really slow speed, maybe ten years or more. My plan should disappoint you but by that way it can be less stressful, It’s kind of selfish, but just as Kazer said in the end scene, it’s just for saving myself. I really haven’t expected that there wopuld be so many people liking it, which makes me hesitate to do as I planned. Actually, it’s a bit stressful right now. This may disappoint you, but I can’t tell a lie that the game will come out in another 2 years. Maybe there will be some opportunity in the future, allowing me to finish it within a team or in full-time. But right now I’m tired and want to rest. Sorry for disappointing you guys, and thank you again for the encouragement. There will be updates though.